David Jr. face painting. He had quite a line waiting for his famous painting! I was overwhelmed by God’s goodness this past Saturday when we ministered in Tijuana. I led a group of 23 down to Pípila in the eastern part of TJ to work with our friends from Lo Mejor del Trigo. Our goal was to minister alongside the Lo Mejor del Trigo church in Pípila, in order to bless the community through an outreach to children. One hundred and twenty children came. They were treated to all kinds of fun activities: face painting, balloons, weaving a lanyard, making beaded bracelets and necklaces, soccer and a Bible story. The kids loved it. Our team from Harbor Mid-City did a wonderful job working with the children and those from the Pípila church. Cindy Frueh organized and coordinated our group to ensure that all the activities were fun, and done well. Everyone had such a wonderful attitude. The light of Christ shined brightly. We give thanks for Cindy, and all of those who helped. She did such a great job leading, that it took a lot of pressure off of me. Since things went so well, it gives me much hope for the future that we can come alongside the church in Pípila and be a blessing to them. Give thanks to the Lord with me for the marvelous work he has done, and he continues to do! That’s how the song begins when the children are attempting to break the piñata. 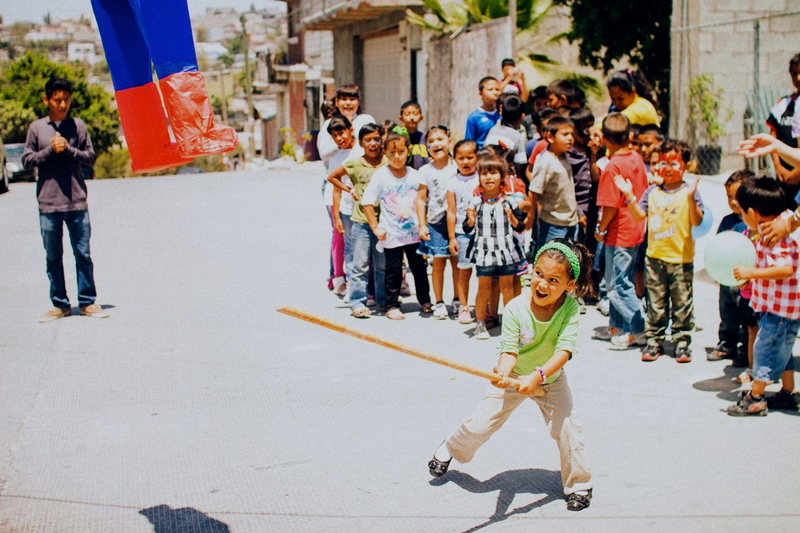 After the children got their fill of all the other activities we finished it off with a big piñata filled with candy. Then since the children worked up an appetite, our Mexican “hermanos” made a wonderful meal with tamales, beans and salad for them. I must admit before the event I was a little worried about all the details coming together. I don’t feel like organizing all the logistics is my strong point. Yet the Lord chose to work through my weaknesses. It was a success, because of the wonderful team of people from our church and from the Mexican church that came together to serve. It was also encouraging interacting with those from the church. They told us how the church is growing. In the last month the church has seen four new families come to Christ, and get involved in the life of the church. 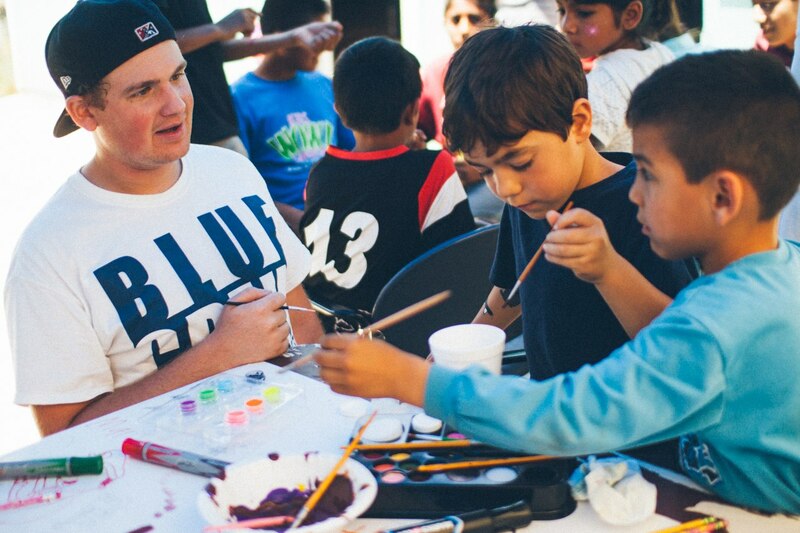 God is working in Tijuana in a powerful way. Since the church just started in November they still don’t have many young families with children, so we are hoping that this children’s event will give them a big boost towards reaching young families in the community. Join us in prayer for this need. O Lord, hear our prayer! What great news! I love coming to see and hear what the Lord has done through you and the other ministering in your area. He is both able and good. 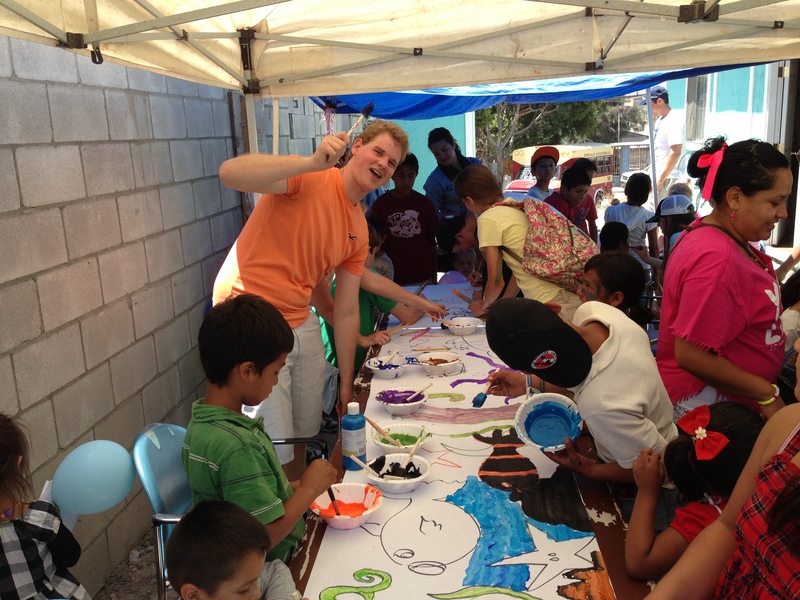 Thanks – I was so encouraged by how The Lord used the day and the group that we took into Mexico. I was concerned about how it would come together, but it went as good or better than I hoped!